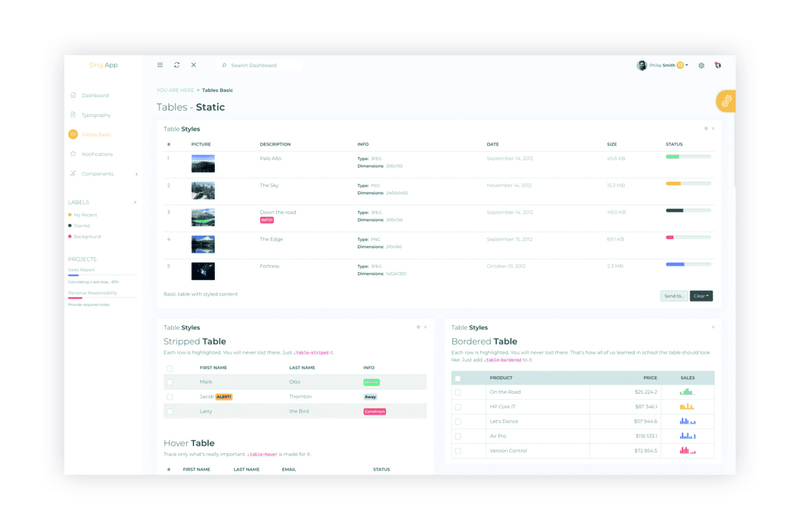 "Sing App Vue is a fully responsive admin template developed with Vue JS 2.5.2 and Bootstrap 4. 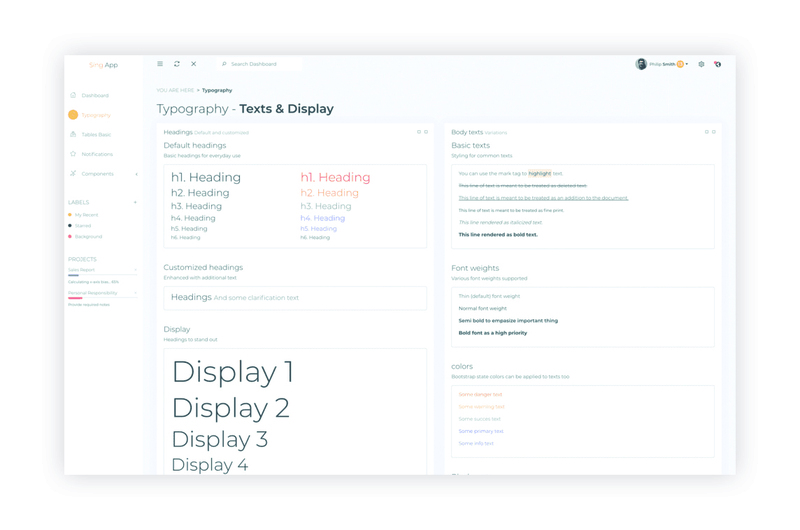 We invested hundreds of hours into development of Sing App Vue to make its code and design perfect. There is an entire programming framework inside that boosts the speed, quality and maintenance of your web application. 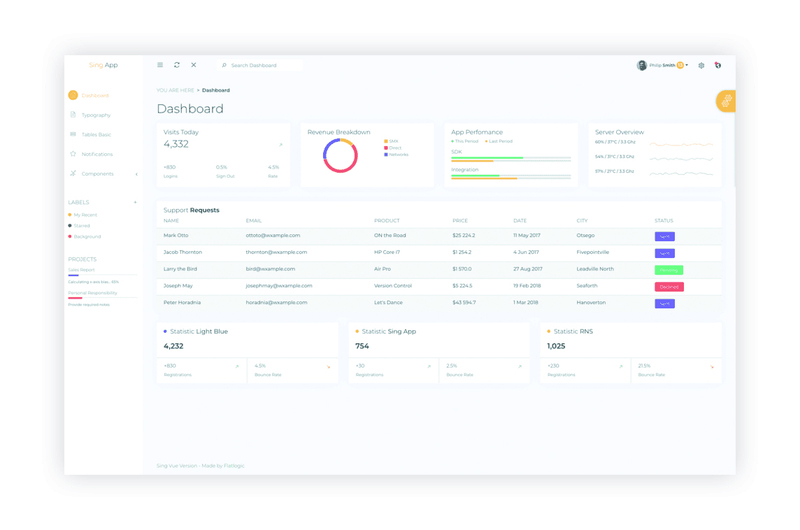 You can use Sing App Vue to build any type of web applications like SAAS, E-Commerce platforms, asset dashboards, tracking software, etc."